Last Wednesday, I picked up JoAnne at Sky Harbor Airport – Yea! She had a great trip to St. Louis and enjoyed spending time with our grandkids. It was great to have her back and I was happy to end my stint as a bachelor. Before JoAnne returned from her trip, I spent the days since my last post at McDowell Mountain Regional Park hiking the Dixie Mine trail and watching the Spartan Race. I had seen signs during the week announcing the Spartan Race that would be taking place over the weekend. I had no idea what a Spartan Race was until I googled it. According to Wikipedia, “Spartan Race is a series of obstacle races of varying distance and difficulty ranging from 1 mile to marathon distances.” It sounded interesting enough so, on Sunday I became a spectator. I think the pictures speak for themselves. I also found time to take the Dixie Mine hike. It is about 5 miles and I think an interesting hike with some wonderful views and varied terrain. There are pictographs at the end of the hike above the mine – but the day I hiked the overcast lighting made them impossible for me to see. The highlight of the hike for me was spotting a Crested or Cristate Saguaro. 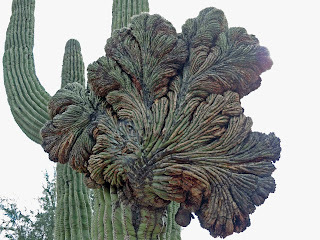 I first heard about these very rare (1 in 250,000) Saguaro’s from reading Pam and John Wright’s blog. Since reading their post we have been on the lookout for these unique Saguaros. As I parked as started heading toward the trail head – there it was. Very Cool. It rained all day Saturday – a good day to stay inside. But look what I got in my email. Alex (my next door neighbor) had taken this picture of Tiger III (our RV) When I saw him on Sunday, I thanked him and he said that they always appreciate getting pictures of their home in beautiful settings and he thought we might like this shot and he felt the rainbow was a nice touch – I agree. Monday was moving day as our reservation at McDowell was up – this is a wonderful park and we will be back. I woke to a very cloudy and rainy day and would have rather hunkered down and not moved at all. But move I did … to Casino Arizona. 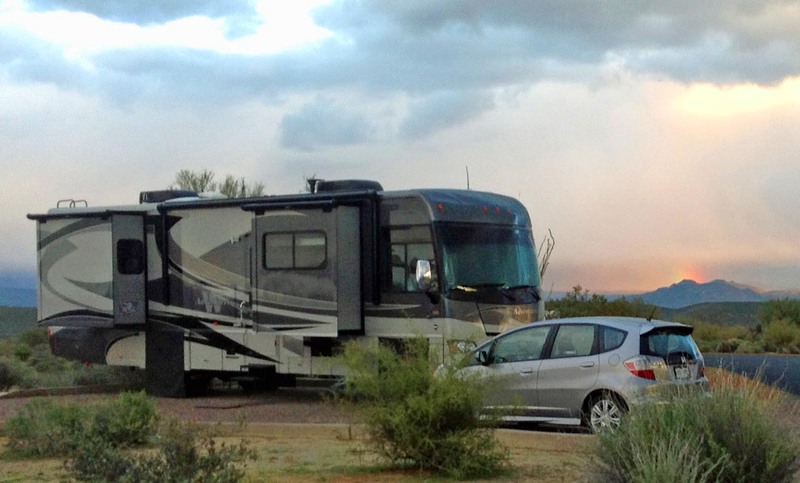 The Casino allows RVers to park (dry camp) for free for 3 days. Clearly, it was a much different setting than I had just left. 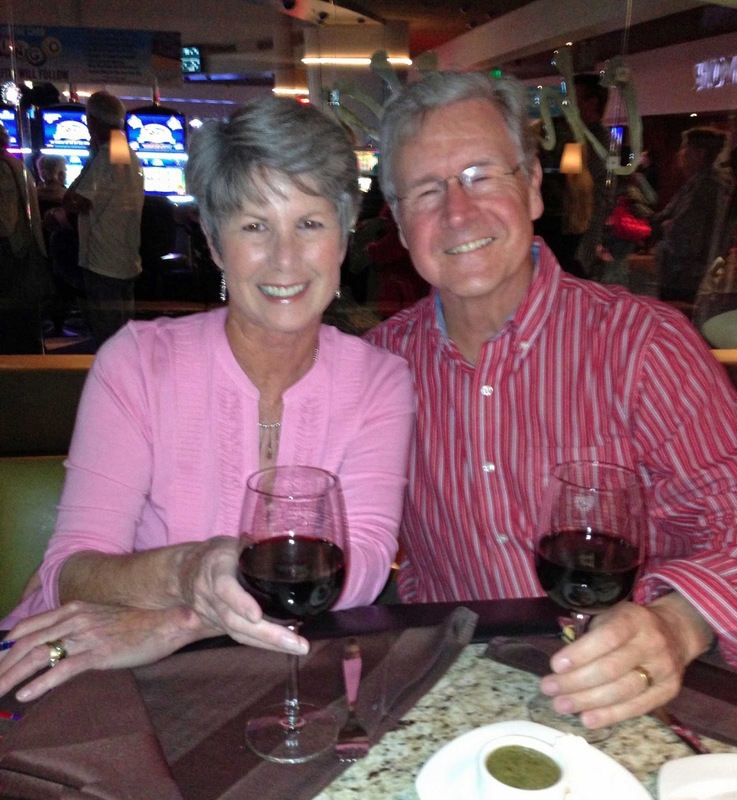 Yet, they have a wonderful Cholla Steakhouse in the Casino where JoAnne and I celebrated our delayed Anniversary and Valentines Day. On Friday we left the Casino and headed south. 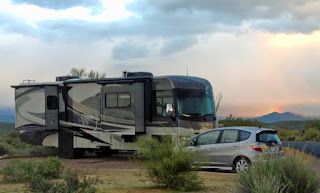 We are now at Picacho Peak State Park about 40 miles North of Tucson – more on this adventure in a future post. Will have to look up the Sparta races....looks interesting. That was a beautiful picture of your home. I have only seen one crested saguaro. We are back tracking to Tucson in March to see the cacti in bloom....I hope...I also follow Oh the Places They Go. Pam has seen so many! Yes, now knowing about the Crested Saguaro it is fun to look for them. We are going to be roaming around AZ and possibly NM all of March. Who knows perhaps our paths will cross. That Sparta race looks interesting, did they step on fire or jumped over it. Picacho Peak, a good choice. If you have not done the summit yet, start from the Sunset View Trail then to the summit and head down Hunter Trail. That way the ascend is gradual, also a pair of gloves will help when you are on the steel cables. Awesome view at the top. The sunset view trail is Steve's fave. Enjoy. A very nice photo of the two of you. Rick, that crested is SO beautiful! It is crests growing out of a crest. What a wonderful find!!! Your home looks great with the rainbow. So glad JoAnne is back! You two look wonderful in your celebration picture. MonaLiza, thanks for the intel on the trails. I plan on hiking to the top later this week. Thanks Pam - we are not on the lookout for more Crested Saguaros. Thanks Susan - we had a great dinner. 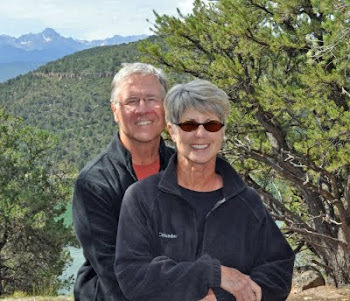 Ingrid, We are in Picacho Peak State Park and will be moving to Gilbert Ray on Friday. Will you still be there? Congrats on your Crested Saguaro sighting.